Other 60 cooperation agreements, visitors from the Netherlands and Pakistan, contracts on exports of food and clothes in France and Italy. These are just a few of the Made in Moldova (Fabricat in Moldova 2019) results. 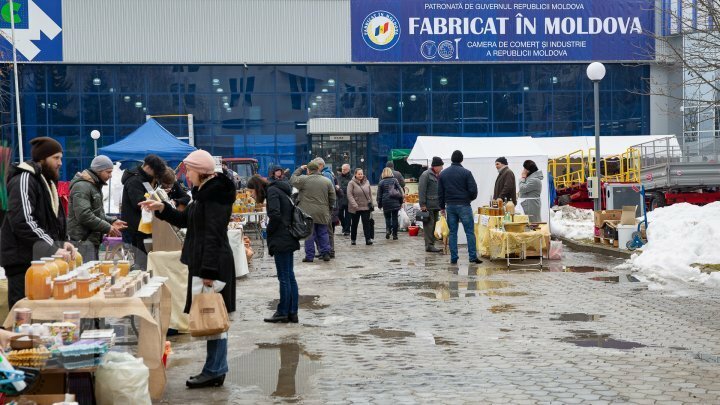 450 national companies attended the 18th edition of of "Made in Moldova"exhibition. Furniture, food, products of the community service sector have been shown at the exhibition. According to the president of the Commerce and Industry Chamber, they exhibited a vast range of products that have success on the market. "At the 2016 exhibition, we had 40 thousand visitor, in 2017 - 50 thousand and this year we had 53 thousand visitors. Delegations from Romania, France, Latvia, the Netherlands, Belgium, the UK, Pakistan, Kargastan, China came at the event", said Sergiu Harea, CCI President. In comparison with the past years, the number of cooperation contracts raised. "Most of all, the visitors were interested in food and textiles. Our Romanian neighbors were interested in the exhibition, but so were the guests from Italy, France and Russia", said Sergiu Harea, CCI President. According to an analyze, the majority of the participants come at the exhibition to find further business partners. Approximately 60% of the economic agents are interested in this exhibition in order to maintain the image of the products or of the offered services. 55% of the participants say that they come at the exhibition to promote their products. 45% come to inform the customers, while 35% come to find business partners. Made in Moldova exhibition targets to support the local entrepreneurs and Moldova's image abroad.